As everyone knows, the exterior of your home is one of the most critical parts of a house, with that being said, finding and choosing an affordable, reliable and trustworthy company is a must. Following that line of thought Strong Shield Siding was created in November of 2009 to fill that gap in New Orleans Metro Area. Our main goals were to treat our customer with honesty and respect, perform our work with responsibility and knowledge and deliver jobs with a high quality craftsmanship at an affordable prices. Now, after 5 long years and over 4000 projects complete, Strong Shield Siding became the lead installer of Fiber-Cement Siding installation in the Southern Louisiana area, and of course still maintaining and improving our prime goals from the beginning, which made Strong Shield Siding become the #1 recommended company by siding architects, local and regional material suppliers and product manufacturers. So now you know where to find the best for your home exterior needs, your one-stop-shop in New Orleans providing Fiber-Cement and Vinyl Siding Installation, Soffit and Fascia, Porch Ceiling, Seamless Gutters, Exterior Painting, Pressure Washing, Aluminum Patios Enclosures, Decorative and Real Shutters, Decks Boards, Hand-Rails, Lattice Skirting Enclosures, Patio Aluminum Covers, Fiber-Glass and Hardie Columns and more. Now that you know where to find all the best craftsmanship for the best price, give us a call for you next project and let us guide you through from the beginning to end. Come see us and visit our mobile show room with the most complete selections of exterior products to help you pick the right products for your needs. Hernandez stucco is a professional stucco business on the north shore. At Capital Improvement, "When you hire us, we'll be there!" We pride ourselves on providing high quality, stylish products that are designed to enhance the Appearance, Quality, Comfort and Value of your home. Make it a CAPITAL IMPROVEMENT! 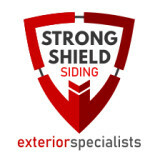 Strong Shield Siding is the premier exterior contracting company in the New Orleans Metro Area. This distinction has been earned through tireless efforts to provide our customers with the finest products and highest quality services and not settling for anything less. Strong Shield Siding has been operating in Louisiana since 2009 and currently boasts over 4000 local projects completed to satisfaction. Strong Shield Siding understands that each customer’s satisfaction is a brick in the road to our future. Strong Shield Siding’s local ownership and management will continue to drive our team’s focus on delivering results that exceed our customer’s expectations. Our work is a direct reflection of New Orleans and we are steadfast in our mission to continue improving and beautifying this great city. 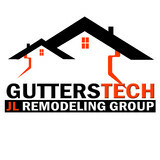 Vinyl siding and gutter pro in the St. Tammany Parish and Hammond, LA area. We price our products fairly and work hard to make sure that our customers get exactly the best product and the best service that they deserve. 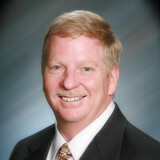 Every member of our staff is experienced and certified and has been with us for at least 3 years. We hold ongoing training and safety seminars to ensure up-to-date styles and techniques. Owners David and Craig make it a point to visit job sites and discuss any questions or concerns with the client. We want to provide each of our clients with a superior service at a great price. And warranty and insurance is available for all services provided. New Orleans based commercial and residential subcontractor specializing in masonry and stucco exteriors. Exterior Specialist priding ourselves on affordable pricing with the highest of quality. 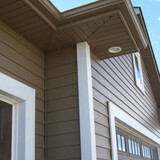 What types of siding services do Saint Benedict exterior contractors provide? Wood siding needs more maintenance than less-expensive, low-maintenance vinyl siding, but with proper care it will outlast vinyl siding, which can fade and crack over time. Your Saint Benedict, LA contractor might also suggest fiber cement siding, which is fire resistant and termite-proof and can come with a warranty of up to 50 years. 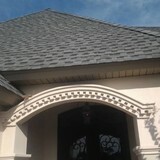 Find siding and exterior contractors in Saint Benedict, LA on Houzz. Narrow your search in the Professionals section to Saint Benedict, LA siding and exterior contractors. Find out how long a Saint Benedict, LA exterior remodeling contractor has been in business, view portfolios, read reviews and get contact information.